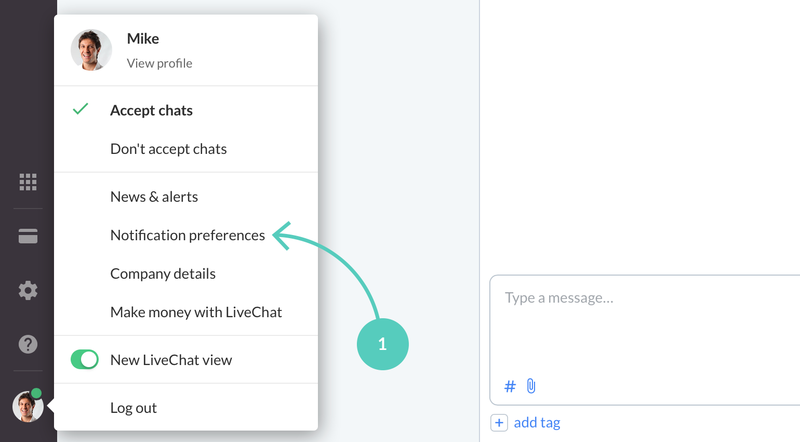 Resources that will teach you everything about LiveChat. No LiveChat account yet? Try it for free now! 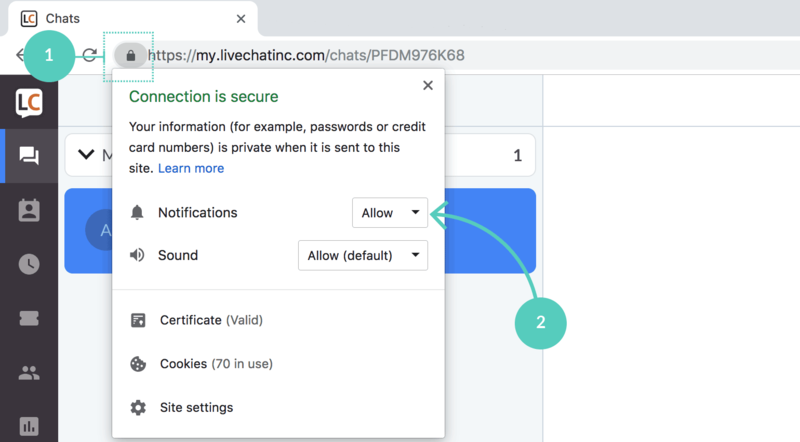 Agents can receive a series of notifications when using LiveChat. The notifications let them know what is currently happening with their chats and visitors. 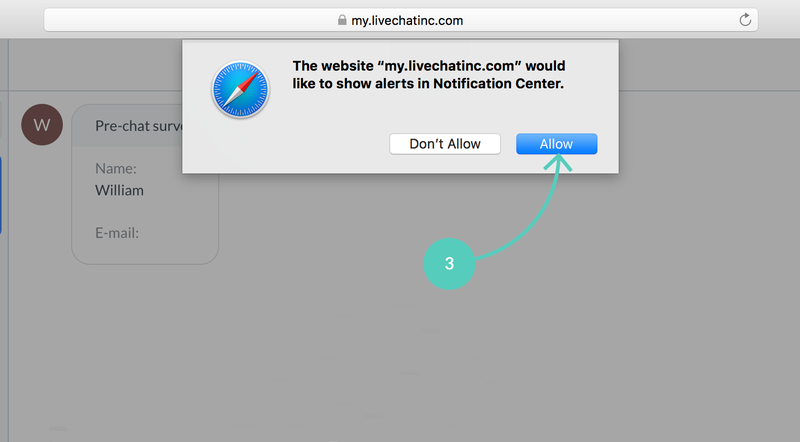 In order to receive these notifications you need to give LiveChat permission to show them in browser. 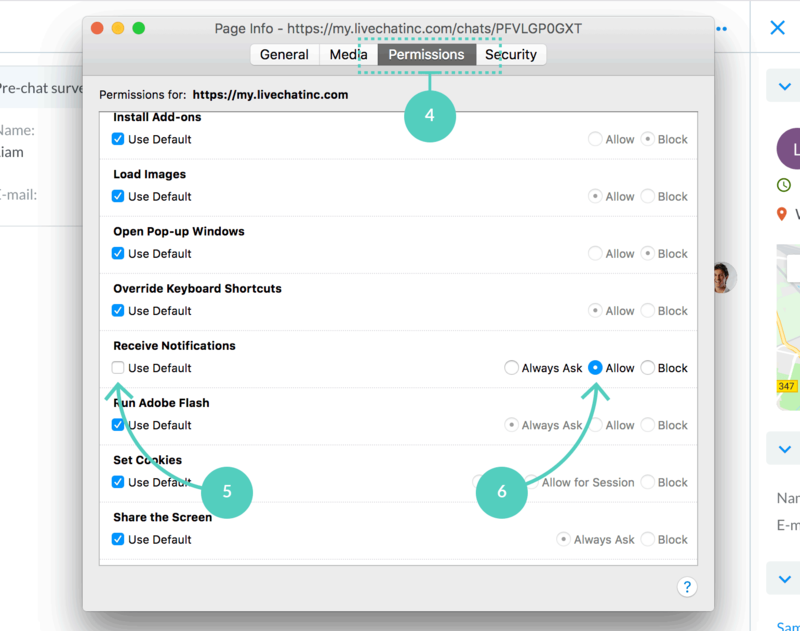 Learn how to do it in the Configuring notifications in Safari, Google Chrome, and Firefox section. To configure notifications, click on your profile picture in the bottom-left corner of the screen and select Notification preferences. The notifications window will open up. You can select which notifications you’d like to receive by marking the checkboxes next to them. The New message in chat notification is always enabled (unless all notifications are muted) while other notifications can be disabled. To disable a notification, uncheck the box next to it and click on the Save changes button. The notification settings are shared between all apps. If you set in your web app, the same settings will apply when using the mobile app. If you’d like to keep the visual notifications but you want to get rid of the sounds, you can uncheck the box next to the Play a sound every time I receive a notification option. To turn off the sound notifications from LiveChat on your mobile, you need to access the device notifications settings. On iOS, go to Settings and access the Notification Center. 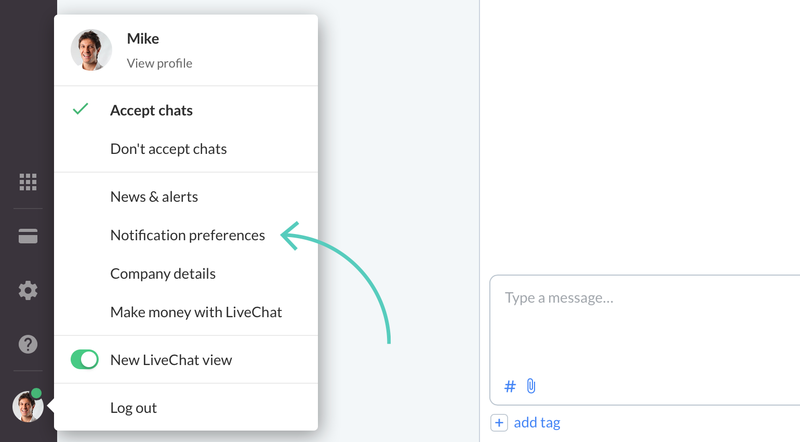 Next, you need to find and choose the LiveChat app from the list. Finally, you can turn off the sound using the radio button. On Android, you simply need to access the sound settings and turn down the Notifications. You can set up a repeating sound for a New message in chat and then the notification will be played in loop until the message has been read. To turn on this option, check the box next to Repeat New message sound until message is read. Click on your profile picture in the bottom left corner and select Notifications preferences. Click on the Enable notifications button. Allow “my.livechatinc.com” to show alerts. Go to Safari → Preferences. Choose the Notifications section from the list on the left. Click on the dropdown on the right to switch between Allow/Deny (permission to send notifications). 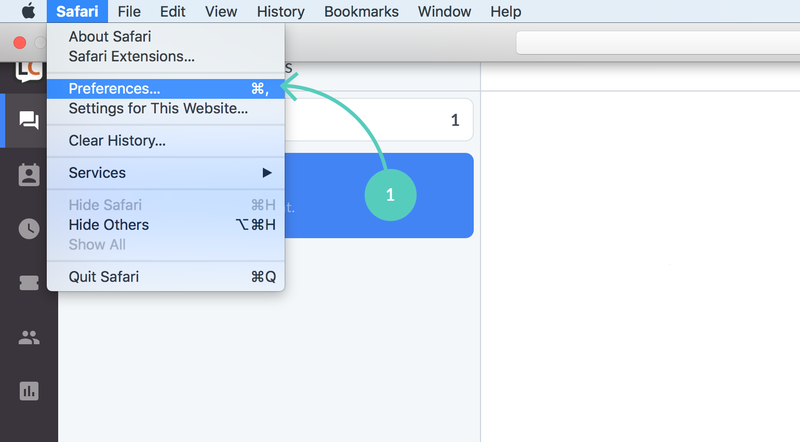 Click on the lock icon (positioned next to the url bar) – a window will pop up. 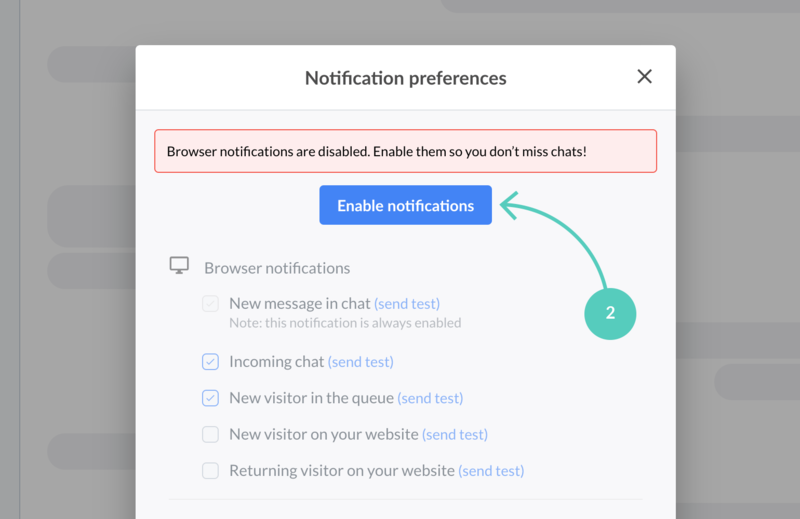 In the same window, you can change Notifications back to Deny if you no longer want to receive LiveChat notifications in browser. Click on the lock icon positioned next to the URL bar. Next, click on the rightwards arrow. Then, click on More information. Find Receive notifications on the list, and make sure that the Use Default box is unchecked. 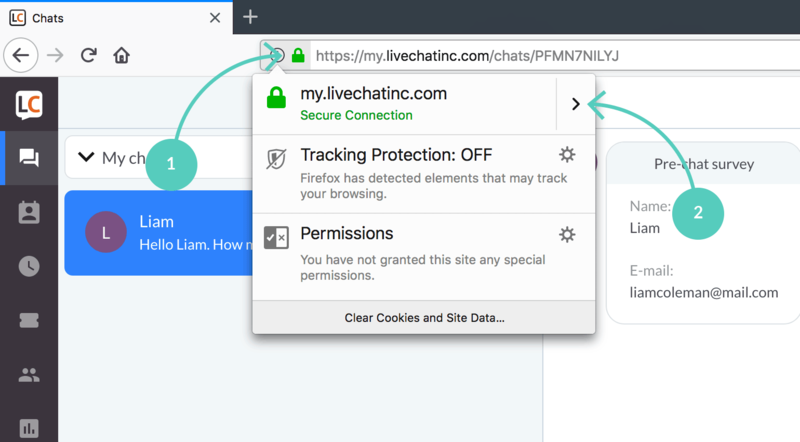 If you no longer want to receive LiveChat notifications in browser, select Block in the same window. 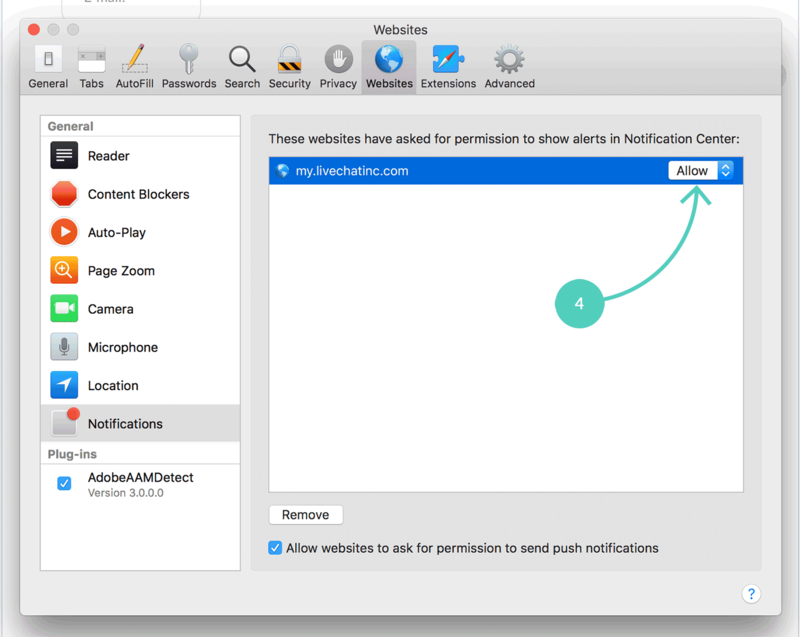 If you’re using Firefox on Mac OS X, you might want to disable the native OS X notifications for Firefox to avoid notifications doubling. 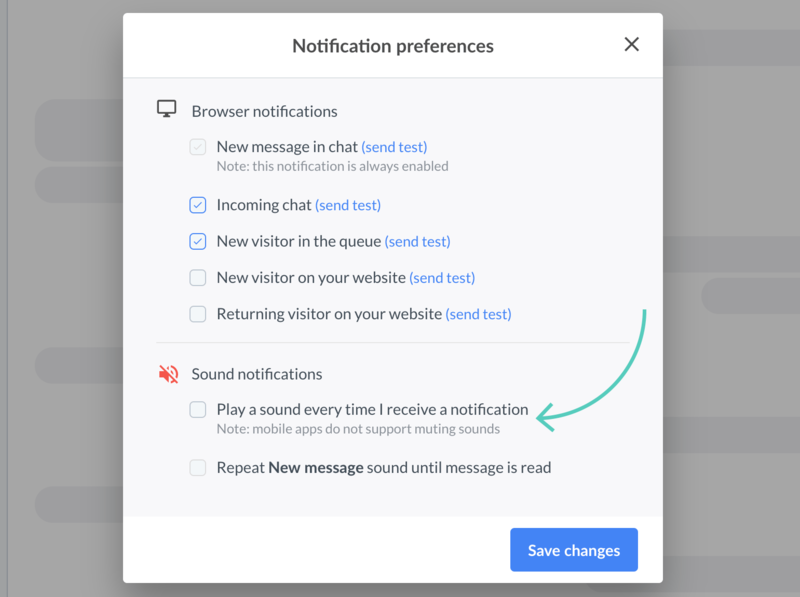 Firefox adds a sound to each web app notification, which makes it hard to distinguish the notifications from one another. 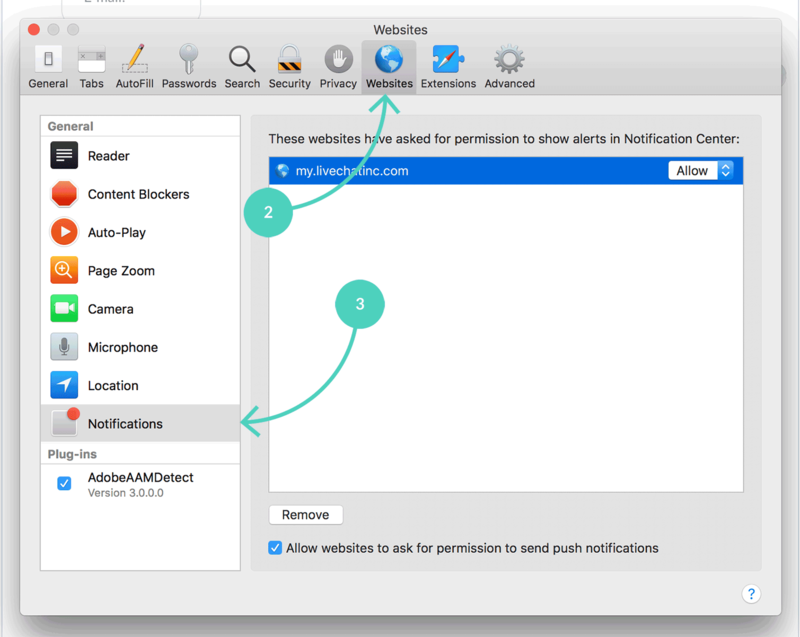 To disable the Firefox notification sounds, go to your System Preferences and select Notifications. Select Firefox from the list. Uncheck the Play sound for notifications option. This way only the LiveChat notification sounds will be played. 75% of people found this helpful.